Ah Cinnamon buns. They truly are the best baking indulgence one can make. 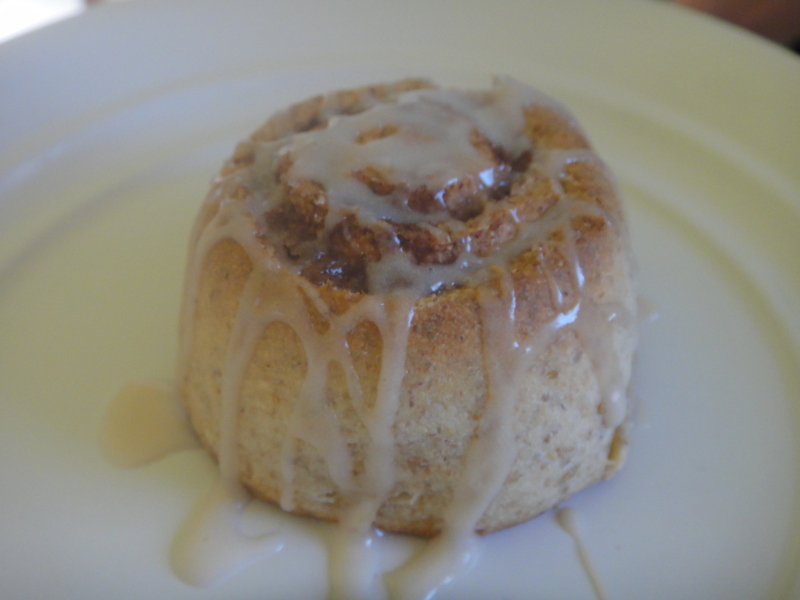 Here is my my new favorite cinnamon bun recipe, made with Organic Whole Rye Flour from Gold Forest Grains. The more that I try their products, the more and more I am falling on love with the richness and diversity of flavorful flours! 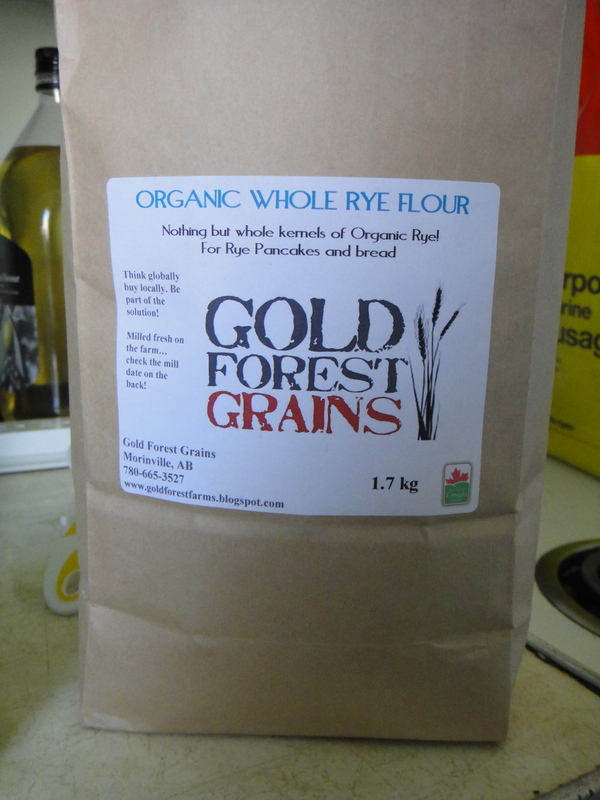 Their flours are delicious and local! The vendor at the Strathcona market was also very knowledgeable about all of his products and offered us a helpful hand in choosing the perfect flour for these amazing buns! 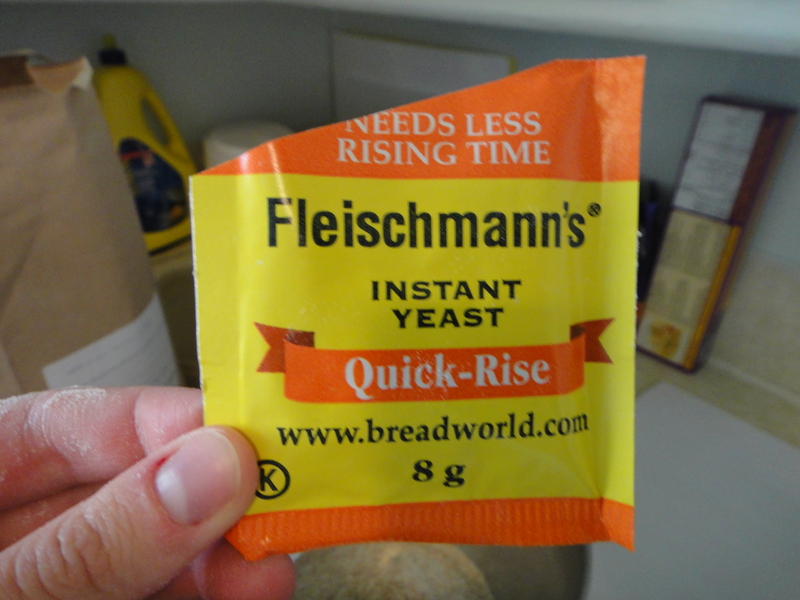 Gotta use quick rise yeast. I’m starting to get the hang of bread making! Here’s the dough before the kneading. And here is it after! 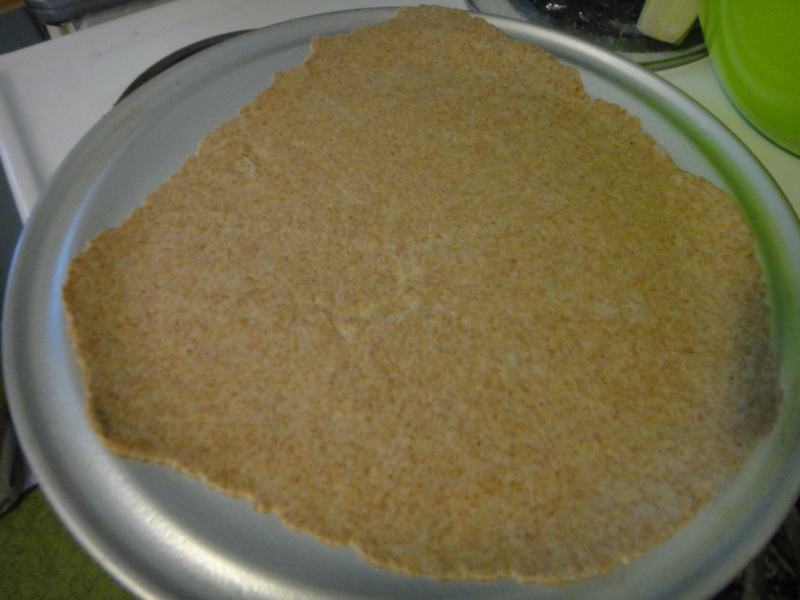 I rolled it out thin and spread margarine all over it. Then I sprinkled on the Cinnamon and Sugar. I rolled it up tight. And made sure to pinch the ends nice and tight too. Then I sliced it up and let the buns rise. Here they are, doubled their size! 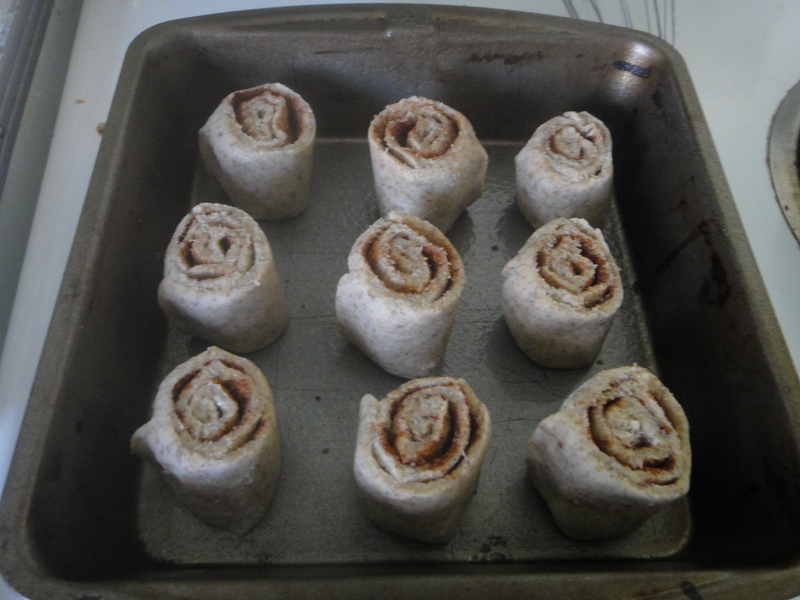 Tasty, glazed delicious whole rye cinnamon buns! In a large mixing bowl, combine 2 cups of flour, yeast, sugar, baking powder and salt. Cut in margarine until mixture resembles meal; you may have to use your hands. Pour in milk and stir until soft dough forms. If necessary, add enough of the remaining flour to make dough easy to handle. 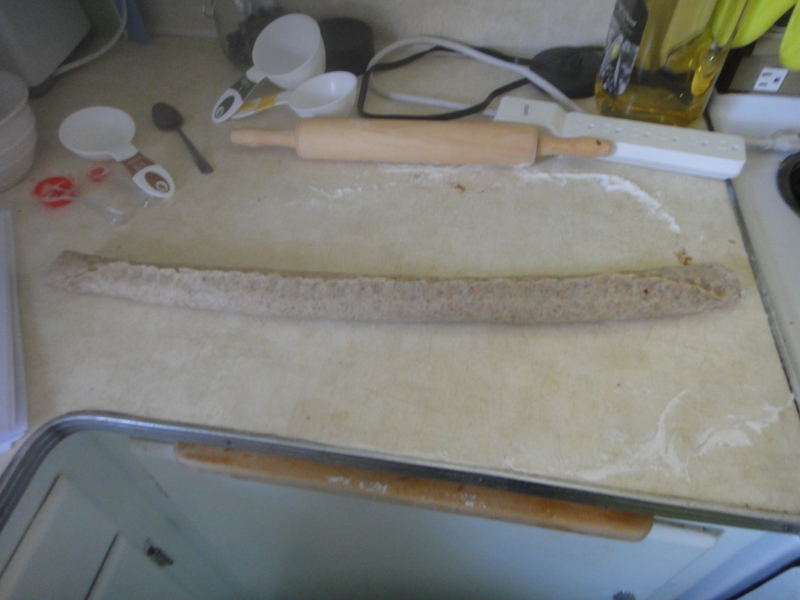 Or, if dough becomes too dry, add warm water a tablespoon at a time until it becomes pliable. 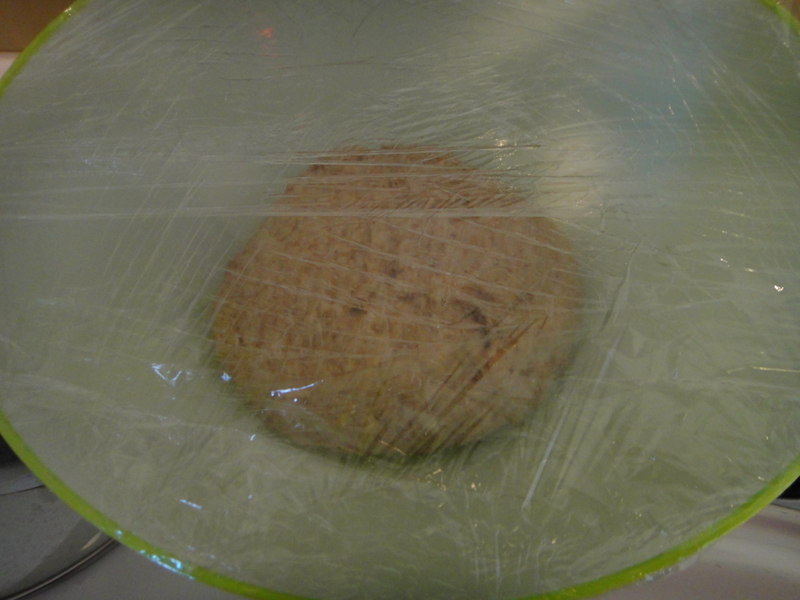 Transfer dough to a lightly floured surface and knead until smooth and elastic. Let dough rest for 8-10 minutes. 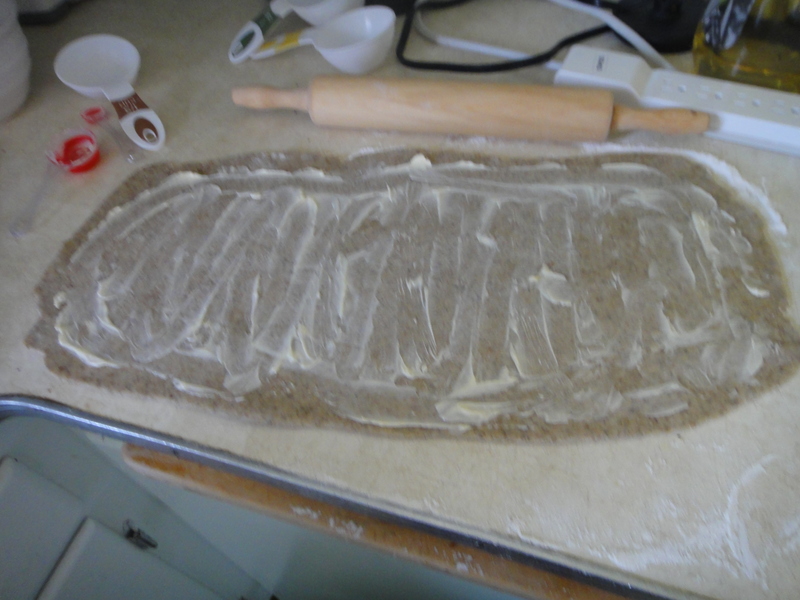 Dust dough with flour and roll into a rectangle. Spread margarine thinly over top. 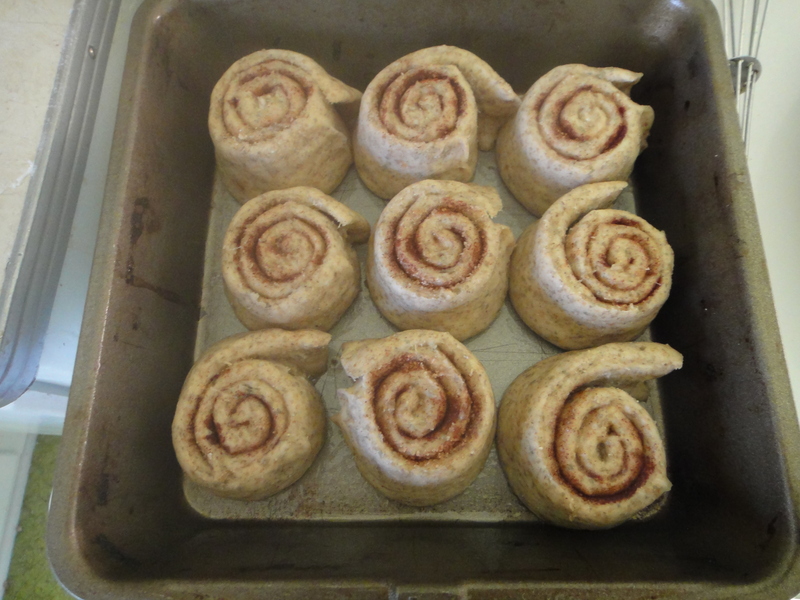 In a small bowl, combine the sugar and cinnamon, and sprinkle this mixture evenly over dough. Roll the rectangle up tightly, beginning at the longer edge. 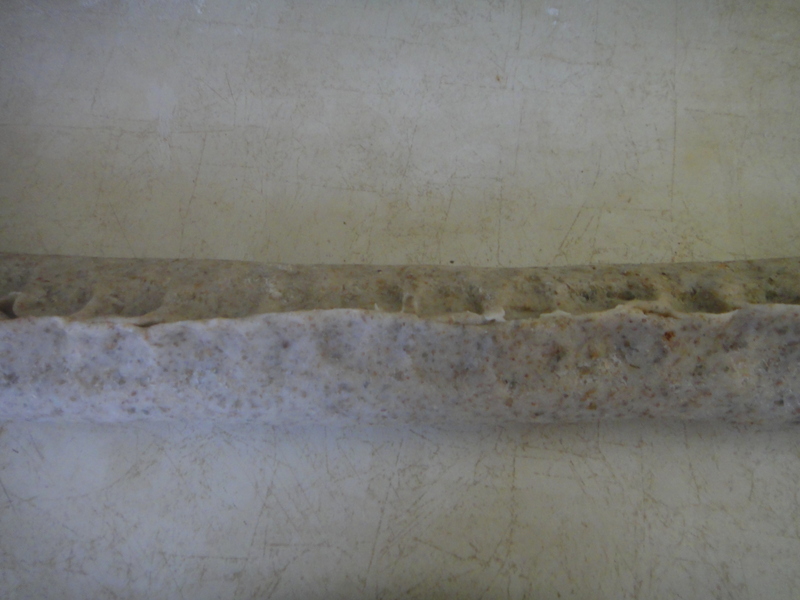 Pinch edge of dough into the roll to seal it well, and stretch the roll if necessary. Cut into sections and place these slightly apart on the baking sheet. Set aside in a warm place and let rise until double, about 30 minutes. Heat over to 375 while they are rising. Bake 15 to 20 minutes, or until golden brown on the outside. To make glaze, mix icing sugar, milk and vanilla until glaze is smooth. Add more icing sugar one tablespoon at a time if it seems runny, and more milk a teaspoon at a time if it seems to dry. Sprinkle over top of warm buns. 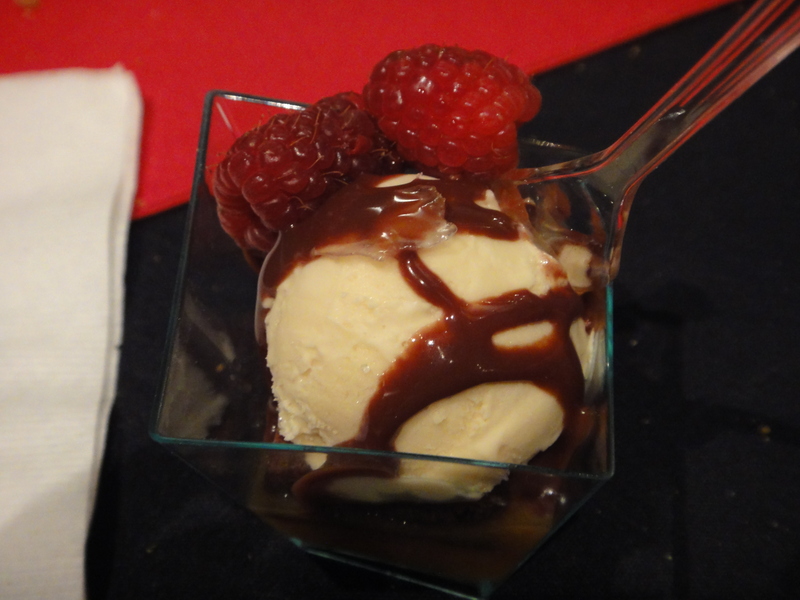 Rocky Mountain Wine and Food Festival, 2011 – A Foodie’s Dream! 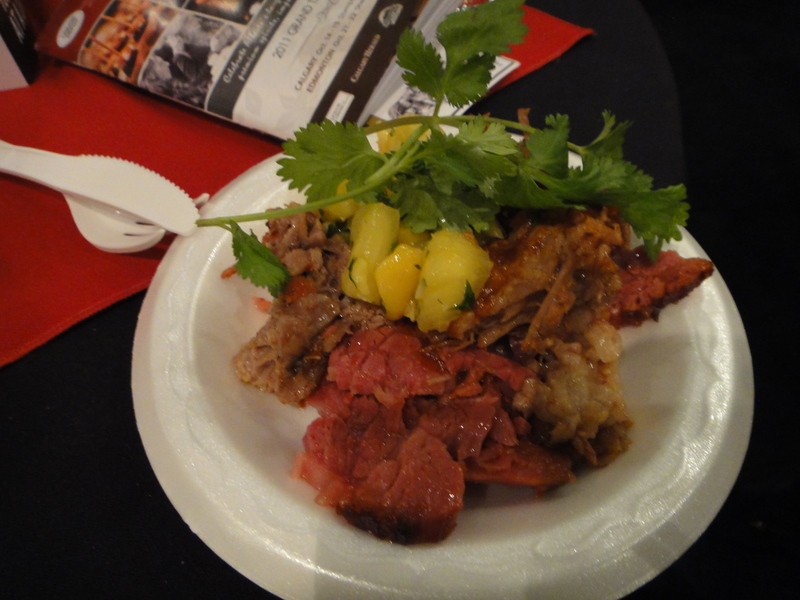 As a food festival lover, I cannot believe that I haven’t yet been to the rocky mountain wine and food festival. 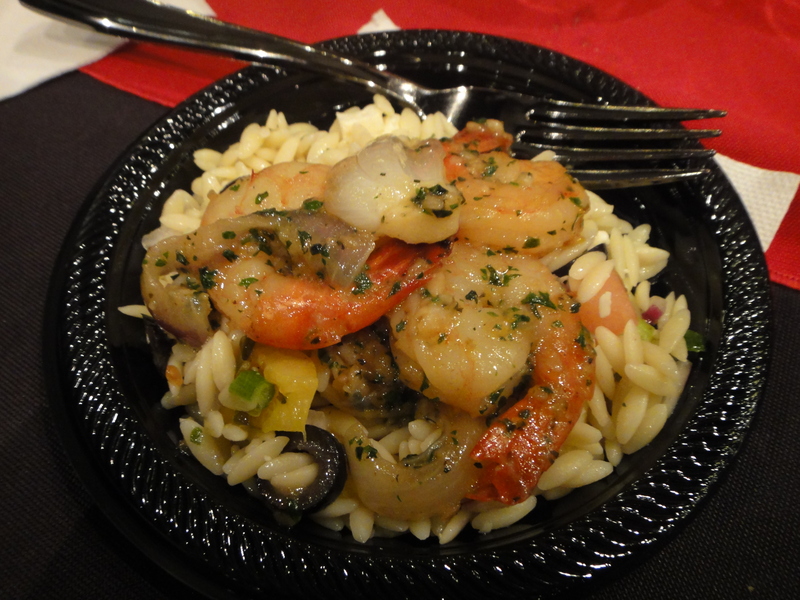 Now in it’s 10th year, this food festival is a wine/beer and food lover’s paradise. 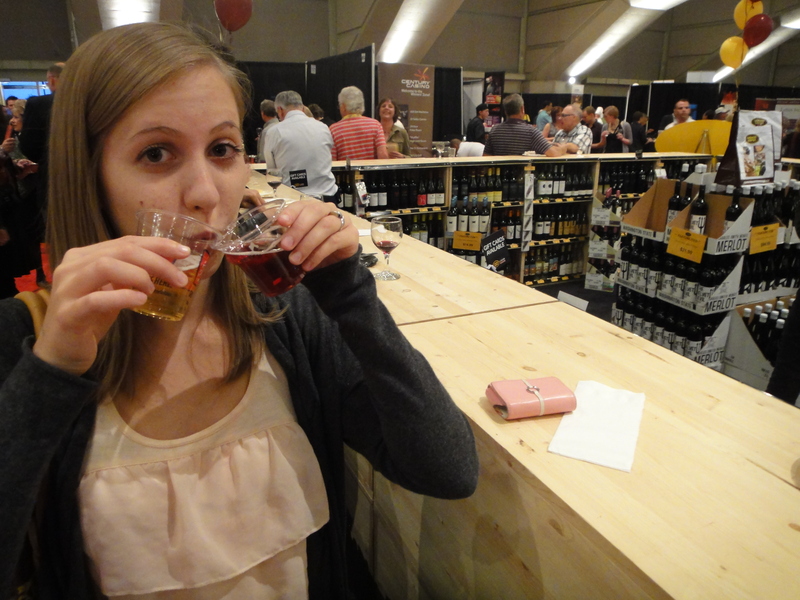 Justin and I weaved through the isles of foodie heaven, sampling dishes and beers from restaurants I’ve never had the opportunity to visit, and ones that are tried and true Edmonton local favourites. It was like a one stop shop of local foodie awesomeness. 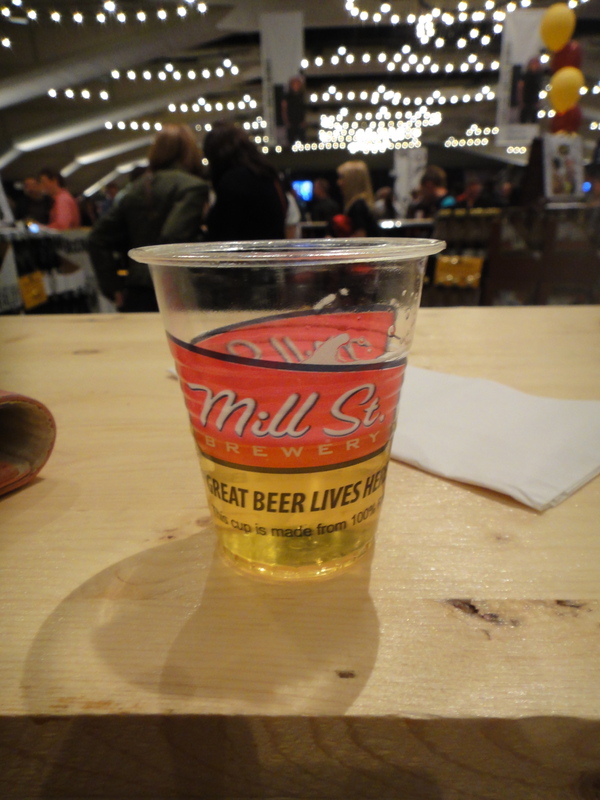 It was like a Taste of Edmonton (by far my favourite Edmonton summer festival,) but turbo-charged and liquored up! I will hereby go ever single year. I loved it. It was such a great food festival! Justin almost had to wheel me out of there, I ate so much! Here is a brief overview of what we sampled. I had dreams about the food last night. That’s how good it was!! The first dish we tried was from Haweli. Stewed curried veggies and rainbow rice. Delicious! Haweli never disappoints. 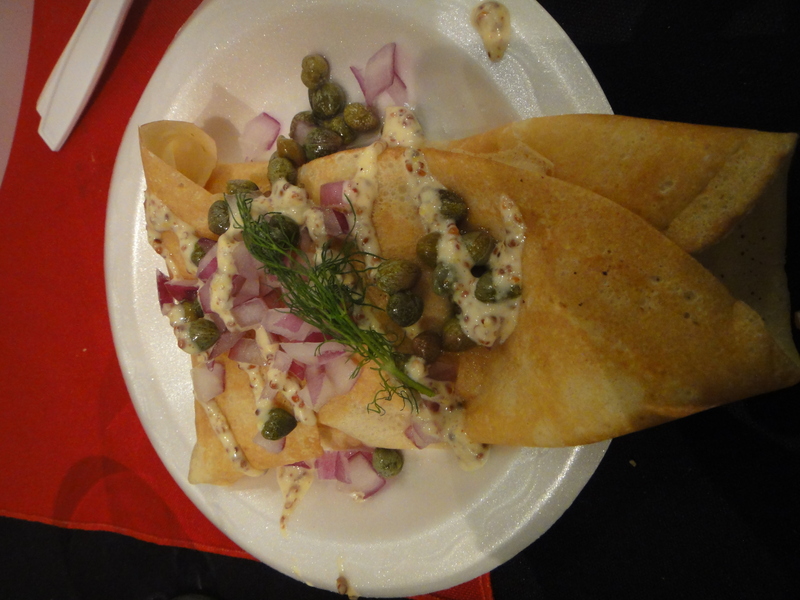 The next item we tastily sampled was a smoked salmon crepe with Canadian Brie, topped with fresh dill, red onion, capers and a grainy dijon sauce from Sunterra Market in Edmonton. For a marketplace, I was blown away by Sunterra. I’ve only ever been there for a quick lunch, and had no idea the depth of their culinary awesomeness. 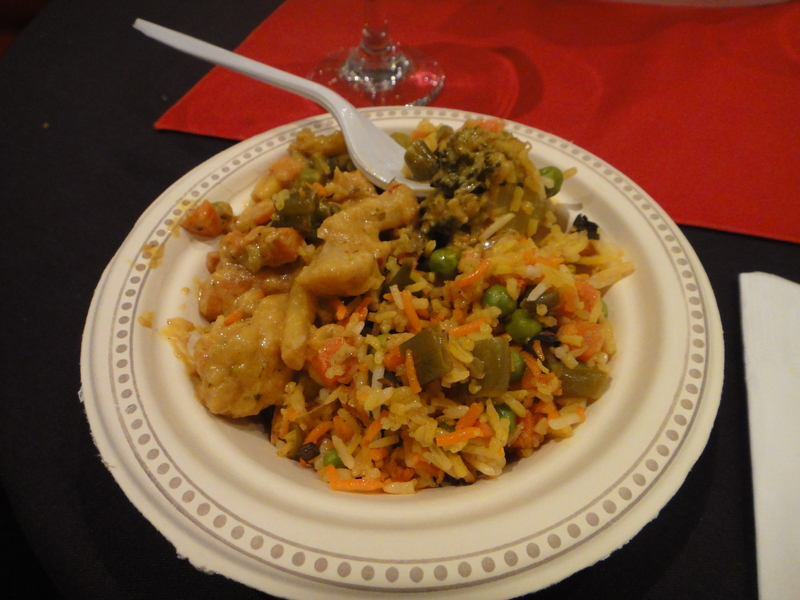 I have to say, this was one of my favourite dishes of the evening, and it was right out of the gate. This dish had an incredible dynamic, that was sweet, savoury and bold all in one bite, and was definitely worth the ticket price for the amount of food you received. Well done Sunterra! 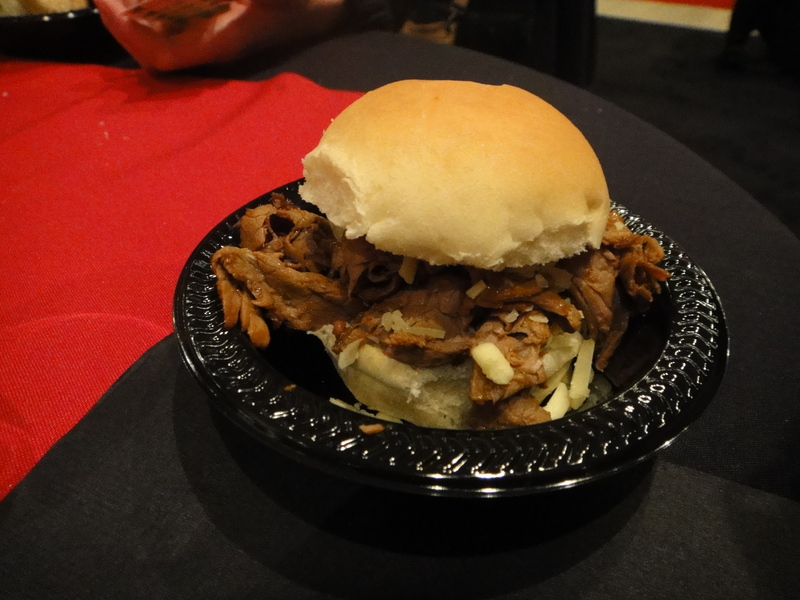 Justin also got a dish from Sunterra, the Chipotle Beef Brisket with Pineapple Salsa and a bourbon peppercorn sauce on a fresh baguette. My only criticism of this dish was that chipotle was an unfortunate misnomer. I couldn’t taste any heat at all… And this is coming from someone who is mega sensitive to heat… It was an honest attempt though! The Brisket was cooked perfectly and the salsa was a great additive. Another winner from Sunterra! This next dish was quite interesting! 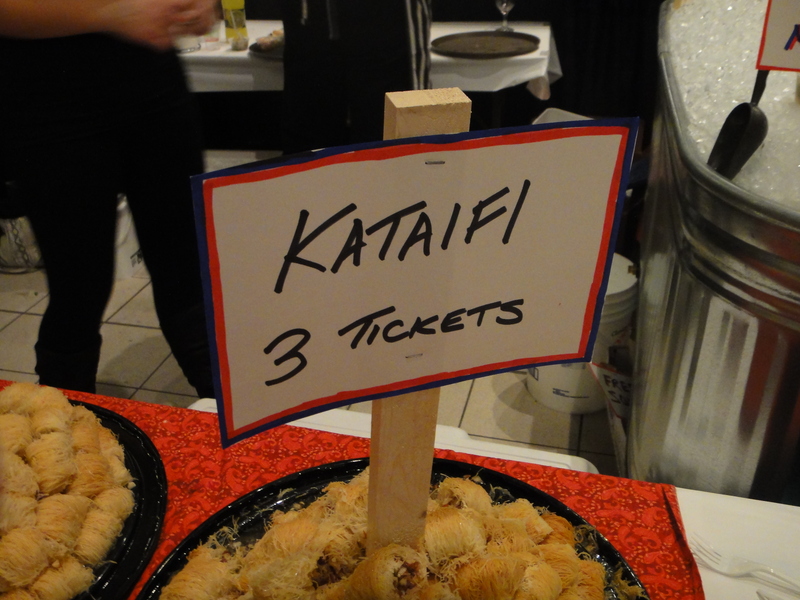 It was fresh Kataifi from Koutouki’s . 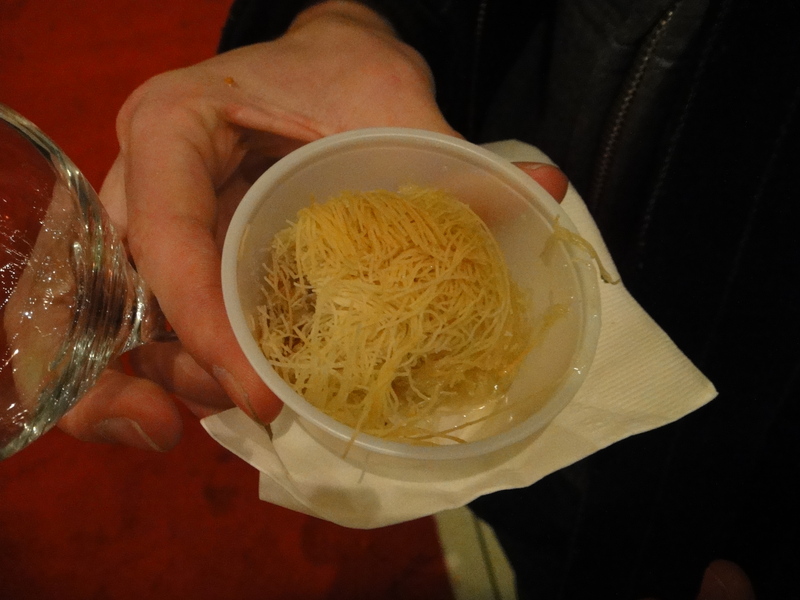 It was basically Baclava, but made of shredded filo, rather than the sheets. Very interesting and innovative dish Koutouki! Their booth was very cute too, set up like a fish and pastry market. Well done! 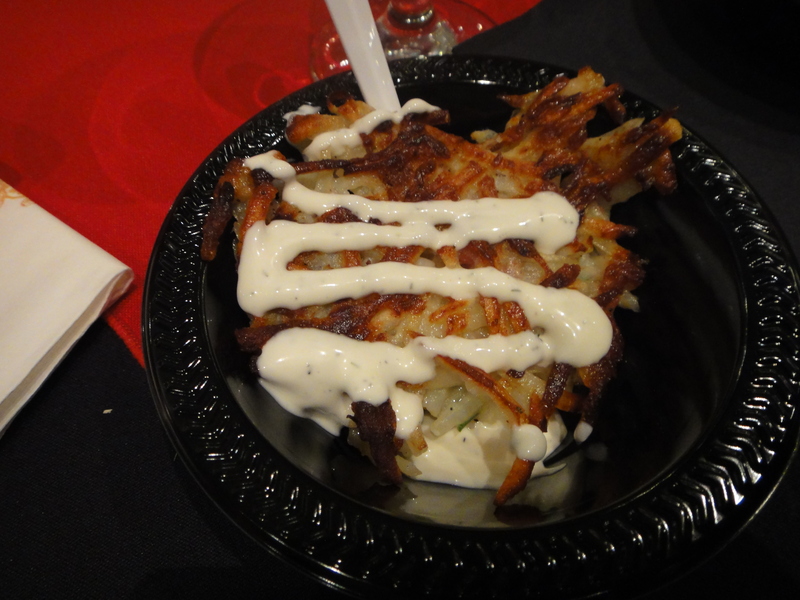 We also tried the potato pancake from the Druid. I was actually pretty impressed. For a slightly greasy pub appie, it was pretty tasty. Next, we were so lucky to find that the Niche had a booth! I’ve wanted to try this new-ish Edmonton restaurant for a while, but haven’t had the chance yet. 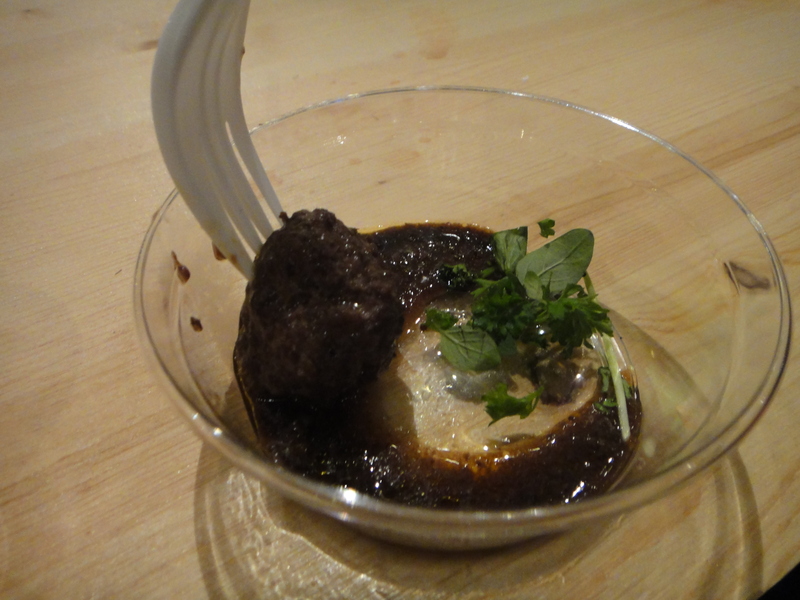 They were serving a Venison Meatball with wild mushrooms in a red wine blueberry reduction. It was a very very good meatball, however I felt the blueberries were pretty absent. Overall though, Great job Niche! Very tasty dish! 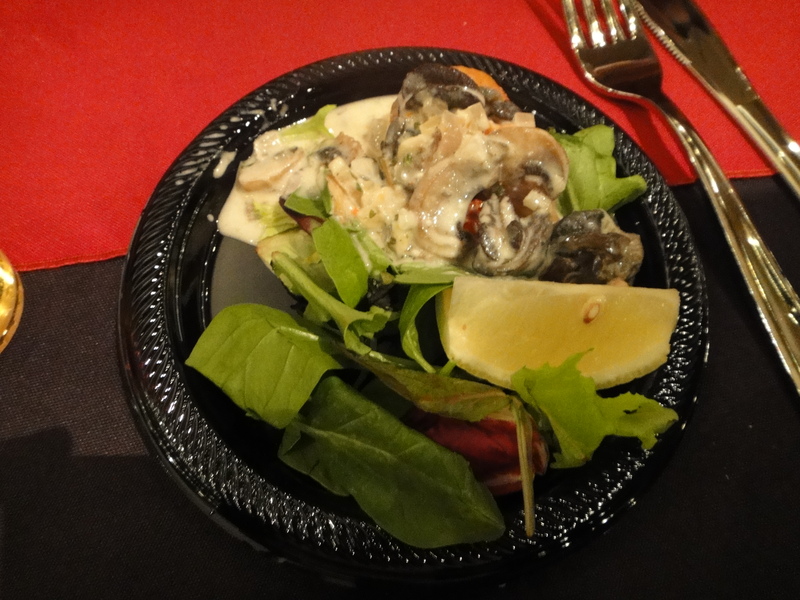 Next, we tried Escargots en Croute from the Sawmill Prime Rib and Steakhouse. WHOA! This was a tasty treat! For some reason, I’ve always loved escargots, even when I was kid. These were some very good escargots too. It makes me want to take a trip down to the sawmill to have the whole appetizer, or two, for dinner, for the rest of my life!! Ya, they were that good. Next, we had to force ourselves to stop eating our way through the room and head to the very opposite of the room, because we were running out of room fast, and we hadn’t even made our way through half of the stalls yet! And I’m so happy we did, because we stumbled upon Sador Divino. Another restaurant that I’ve always wanted to go to, but have never had the chance! This was a Cayenne Chocolate Mousse. It was probably the most interesting dish of the night. 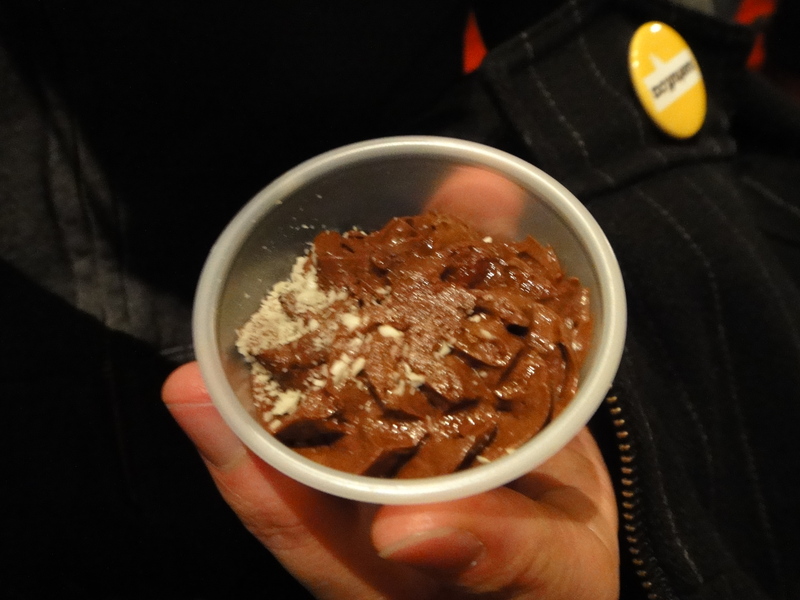 It was velvety smooth rich chocolate mousse, which left a lingering spice at the back of your tongue after it was gone. This dish had a complexity to it that I couldn’t even imagine trying to make. Well done Sabor! 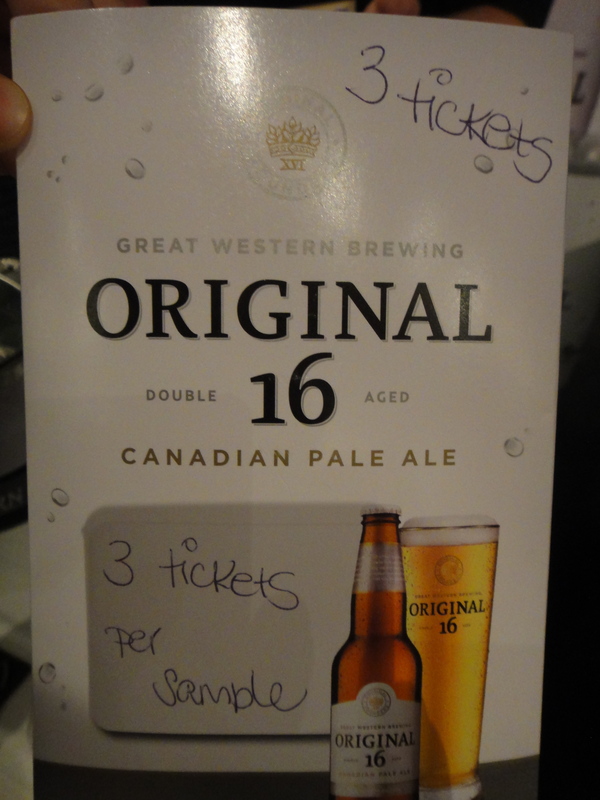 Next, I tried the Original 16 Canadian Pale Ale. WOW! This is a new beer from Saskatchewan. Very impressive, clean, clear taste. I would hunt this beer to enjoy on a Friday evening with friends. Well done! They left such an impression that we ate them all before I could even snap a picture of them. 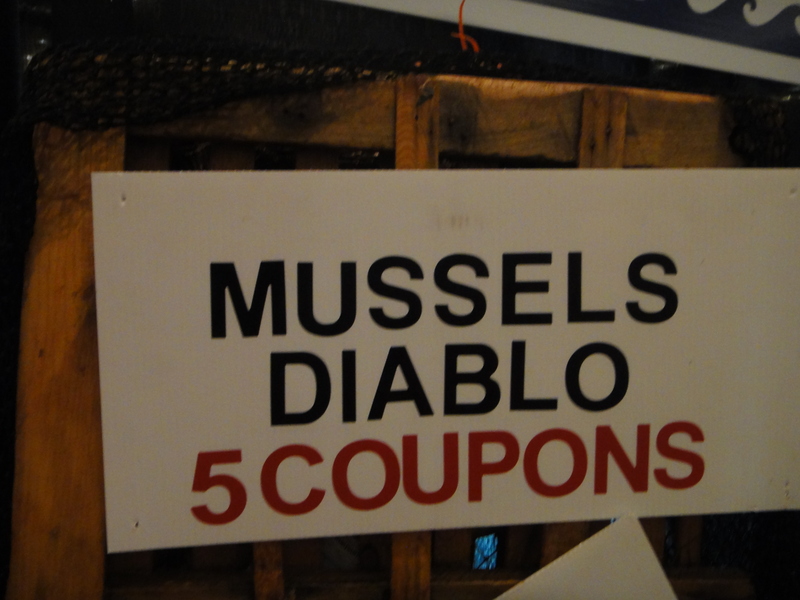 Muscles Diablo from Billingsgate Lighthouse. These muscles were incredible and had a deep, rich flavour. I made Justin’s top of his list of favourites of the evening! Cooked to perfection and a great price for food amount. Incredible! Ah, Turkey leftovers: The right of passage for all Canadians who celebrate thanksgiving. My mom hosted 40 people on the Sunday of the Thanksgiving long weekend, and there were still leftovers after the fact! 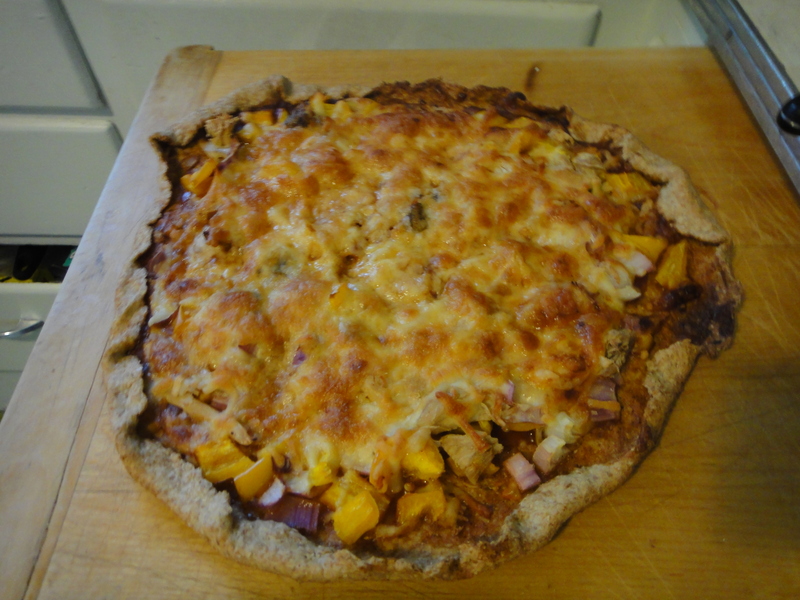 It made for a delicious adventure making homemade pizza, dough included, for the first time! My best friend Alexandra made a wonderful gift for me last Christmas. She knew that I had a pretty severe disdain for making bread, as it was honestly just a pain in the but that I really couldn’t see myself enjoying. In order to convince me otherwise, she made me “Jacquie’s guide to Quick and Painless Bread Recipes” (Patent Pending). 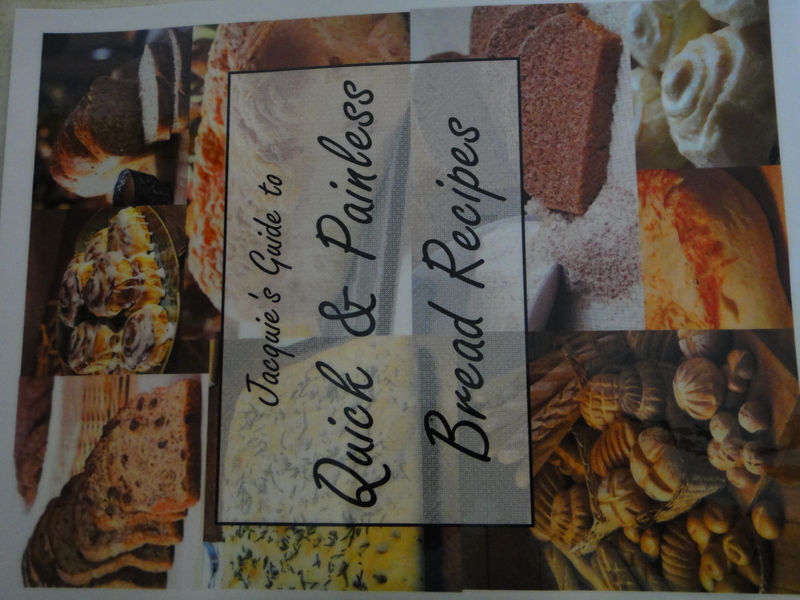 It’s a heartfelt compilations of tasty tasty bread recipes to suit any need! I figured it was time to get over my fear of baking and make some home made pizza dough. It was DELICIOUS! 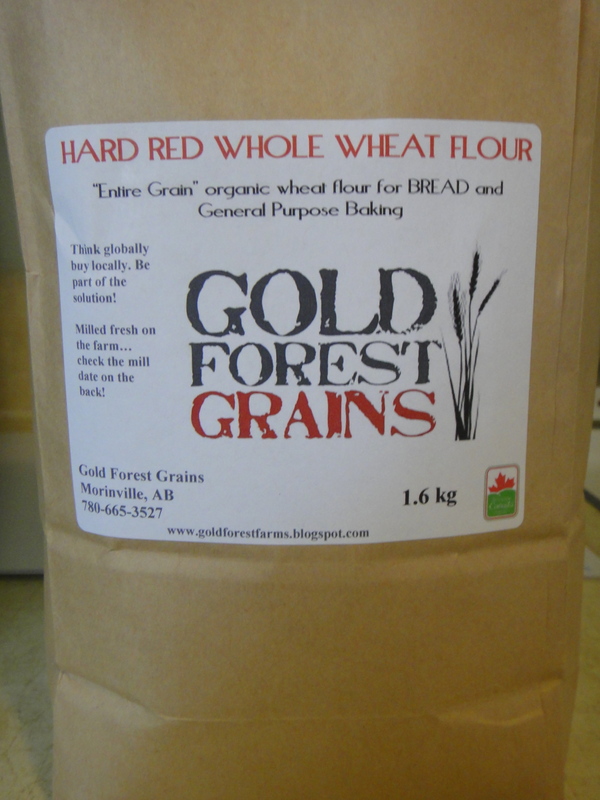 I used local whole wheat flour, from Gold Forest Grains. I am thrilled that they now have a permanent booth at the old Strathcona farmer’s market. Now I can get all of my local whole wheatey needs super close to home! 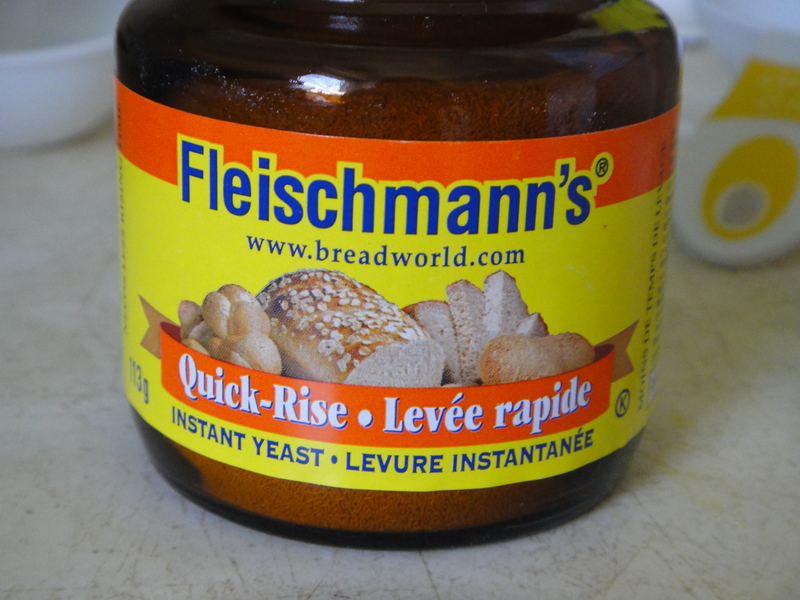 No bread is complete without quick rise yeast! 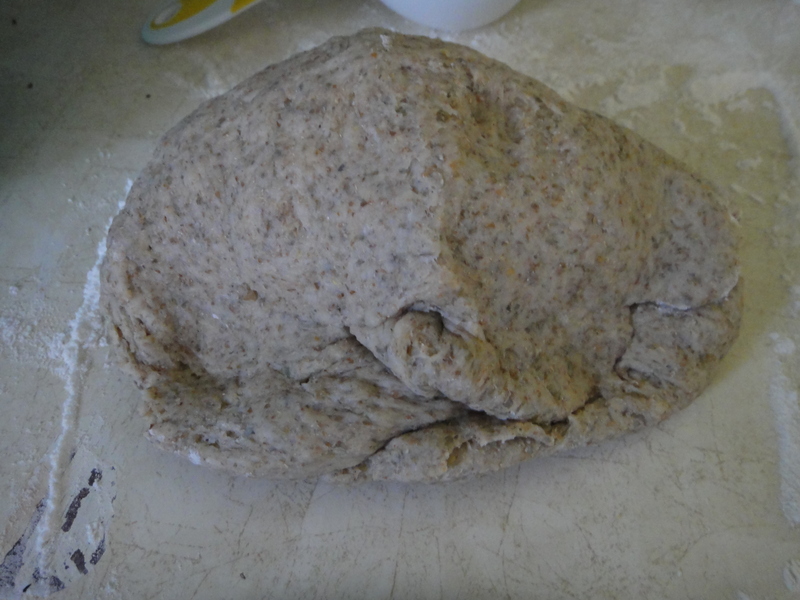 Here is my ball of dough, all elastic from the kneading. I put the dough into a greased bowl and let it rise for about an hour. 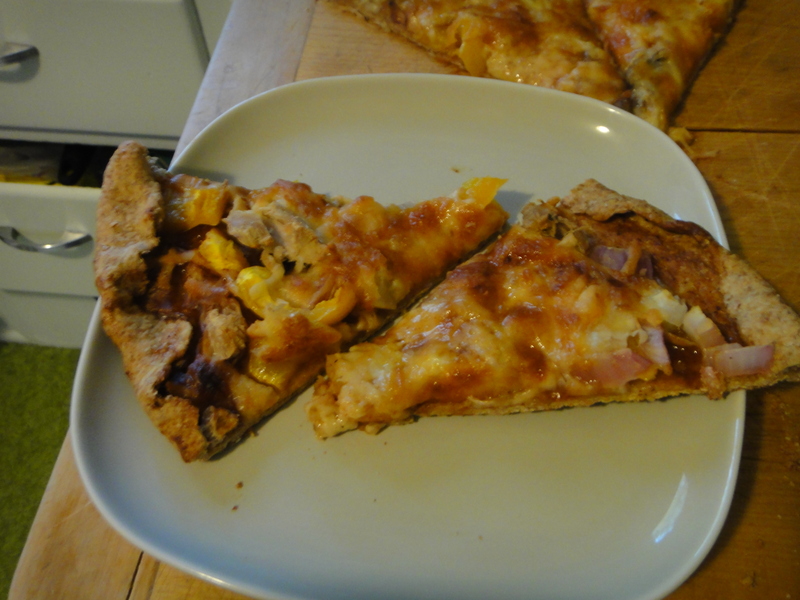 Then I rolled it out thin on a pizza plate. And covered it with the most amazing ingredients ever. I popped it in the oven and let it bake at 350 for about 15-20 mins. Out it came all beautiful and crispy. Grease Pizza pan or cookie sheet. Mix 1 cup flour with yeast, salt and sugar. Add water and oil, blend well. 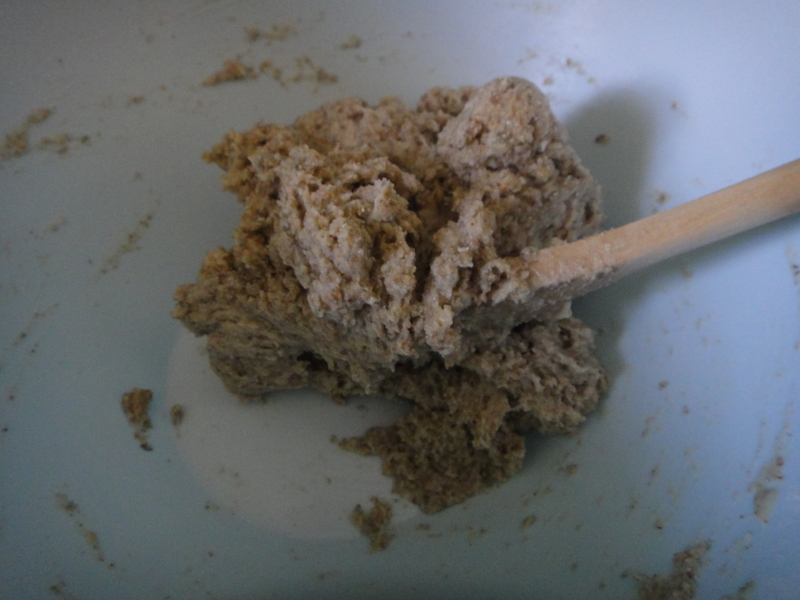 Gradually add second cup of flour until dough pulls away from sides of the bowl and forms a ball. 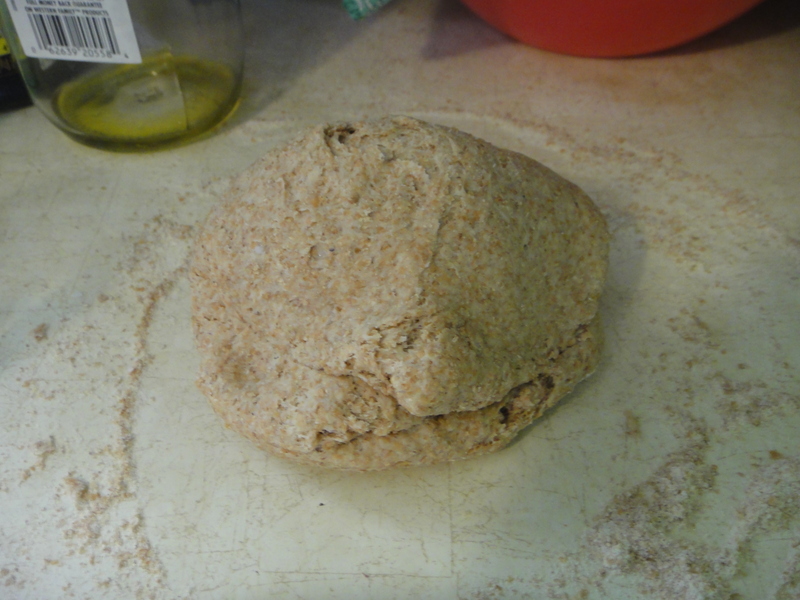 Turn dough on a slightly floured surface and knead until it is very stretchy. Let rest for 10-15 mins in a warm place. 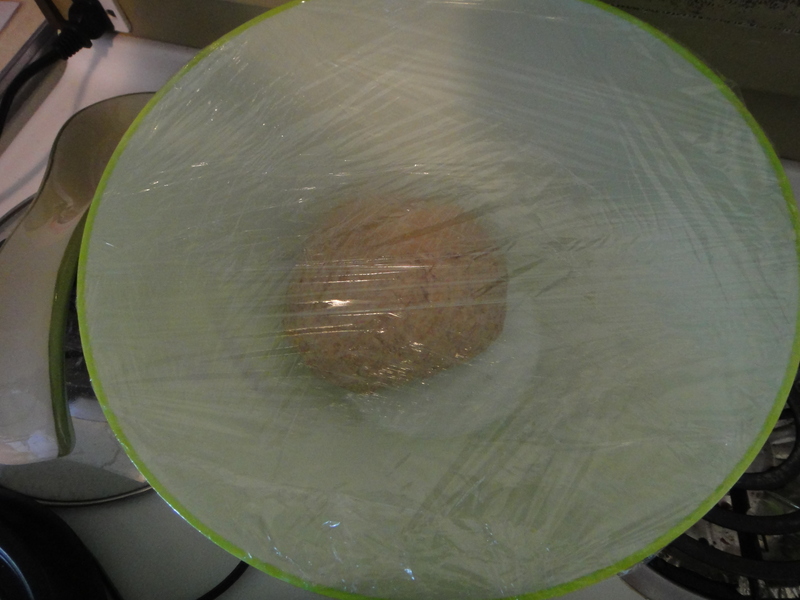 (If you have time, place in a greased bowl and cover tightly with plastic wrap, and set aside in a warm place until doubled, about 40 mins.) 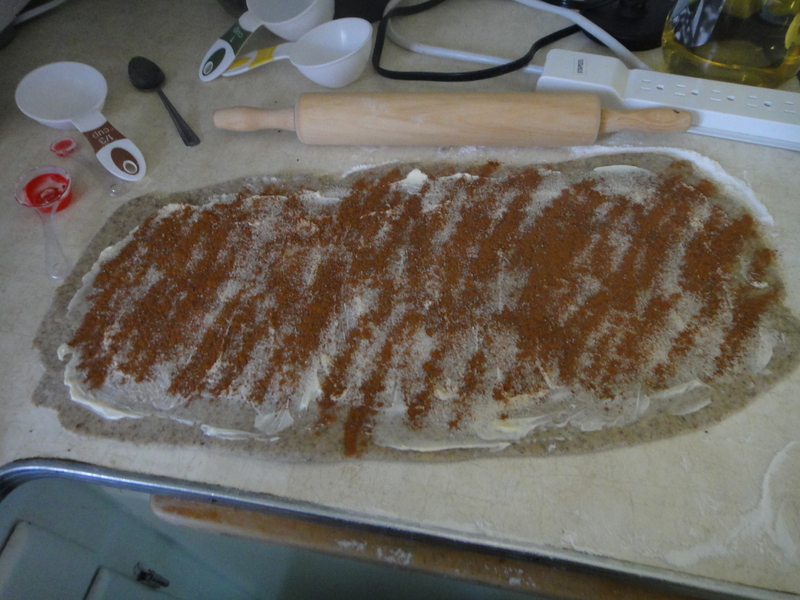 Spread dough onto pans with a rolling pin. 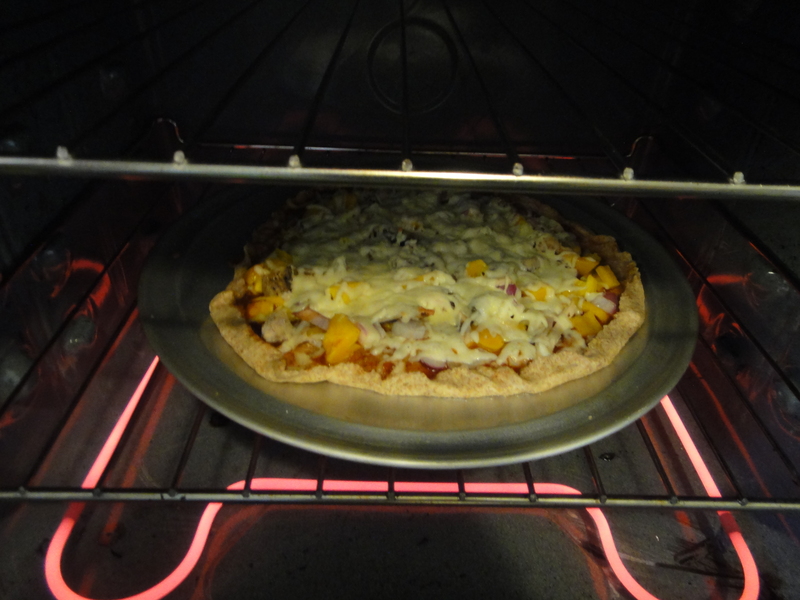 Preheat oven to 350 while you are putting on your toppings. 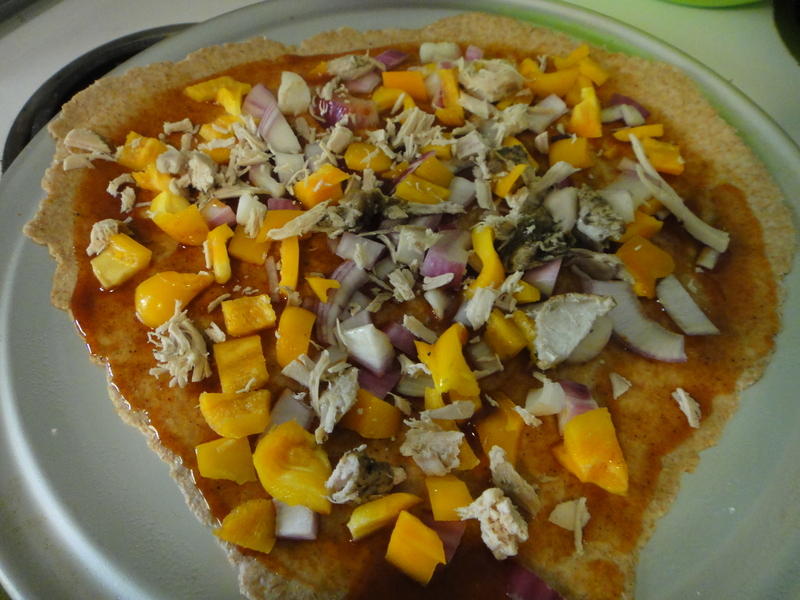 Spread BBQ sauce over dough. 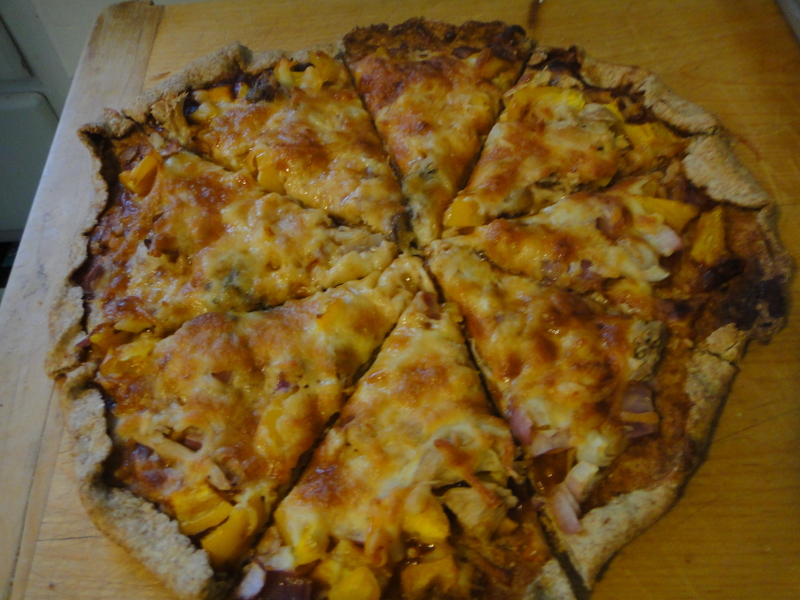 Sprinkle onion, pepper, turkey and cheese on top. Bake for 15-20 mins. Slice up and enjoy! If ever there was a summer to grow zucchini, this past summer was it. 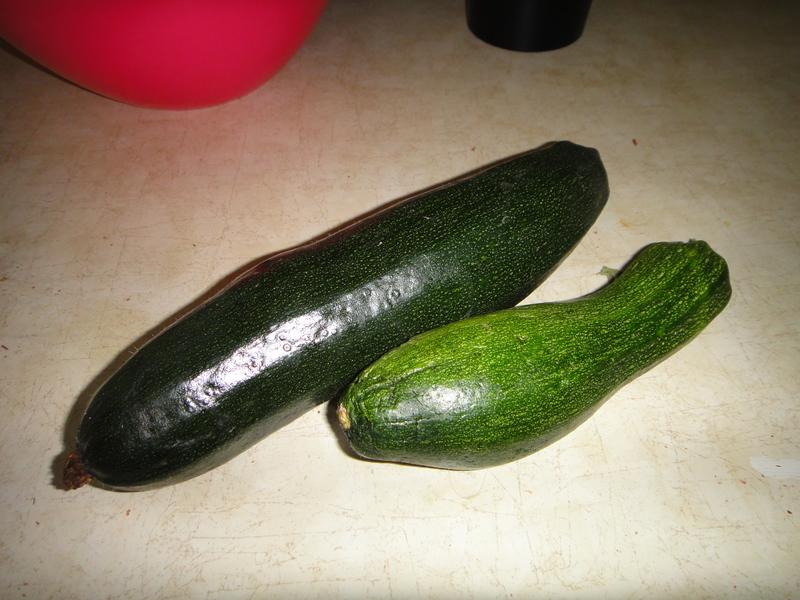 I over-estimated by planting 2 plants, and was drowning in zucchini all summer long. I froze some to make loafs and muffins all year round. Here is, by far, my favorite zucchini recipe. 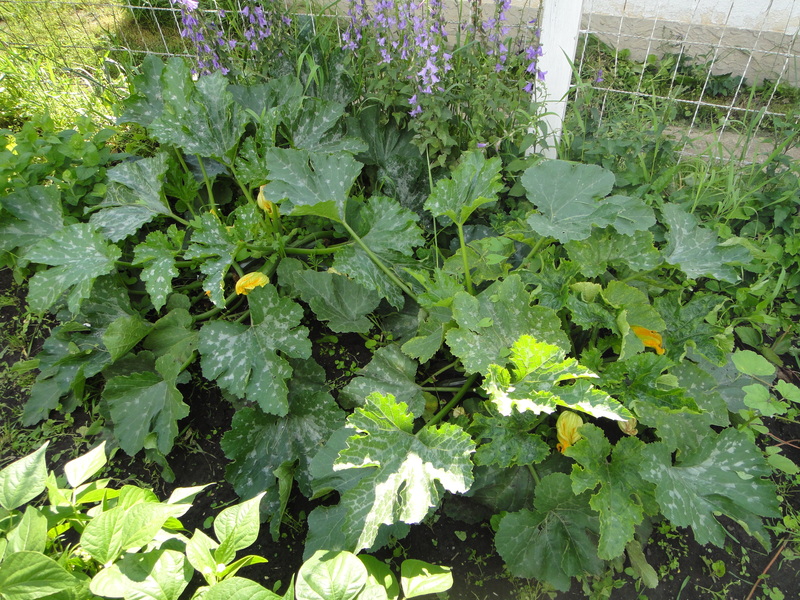 Here is my crazy huge zucchini plant, in early august. It definitely outdid itself! Some of them grew pretty big! 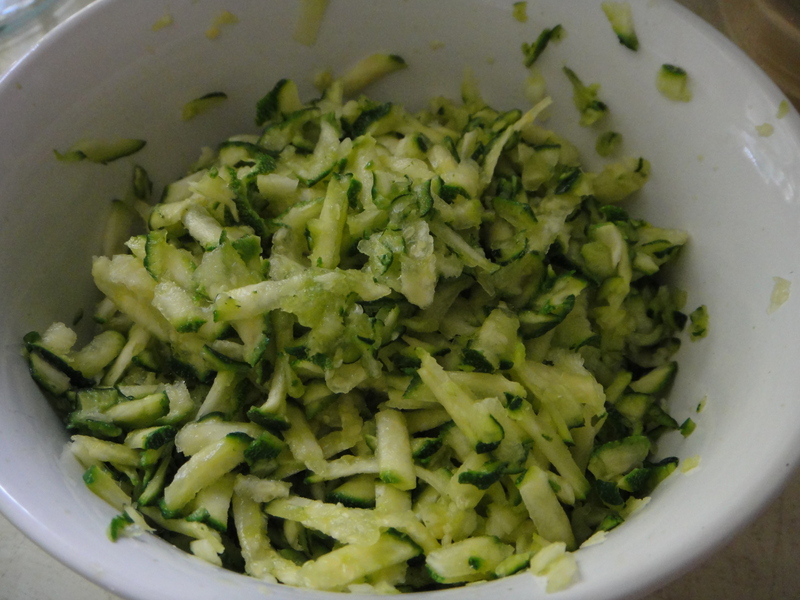 The grated zucchini left a lingering deliciously fresh smell in the kitchen. 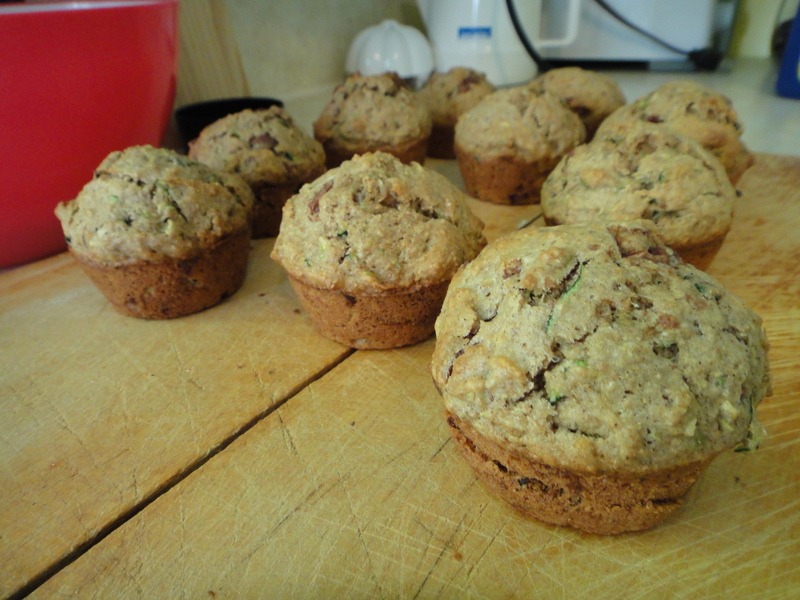 Tasty, hearty muffins to start your day! Preheat oven to 350 degrees F (175 degrees C). Lightly grease or line two 12 cup muffin tins with paper liners. Stir in the flour, baking soda, baking powder, salt, cinnamon, nutmeg, cloves and cardamom. Mix until just moist. Pour batter into prepared muffin tins filling 2/3 of the way full. Bake at 350 degrees F (175 degrees C) for 20 to 25 minutes. Remove from pan and let cool on a wire rack. Store loosely covered. My sincerest apologies for being AWOL for the last past month and a half. I was gone in Peru with my Justin, and when I got home, I hit the ground running, leaving no time for good food (the horror!). 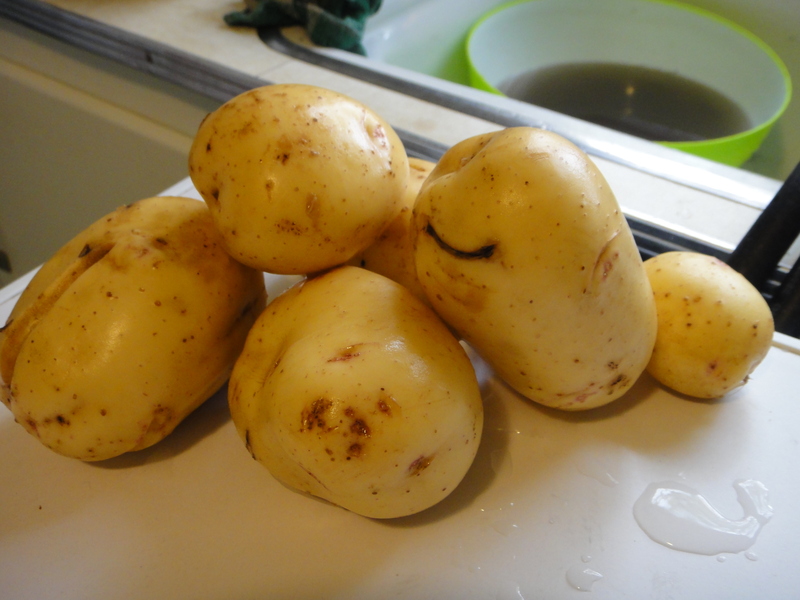 This weekend, I was blessed with enough extra time to make a massive pot of potato soup, with the potatoes we harvested form the garden. 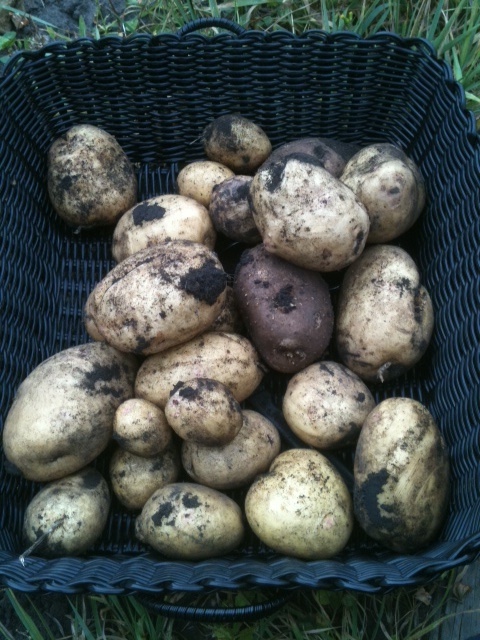 I was shocked that we managed to get any potatoes from the garden. With this being the first time I planted a garden ever, I had no idea how potato plants grew. 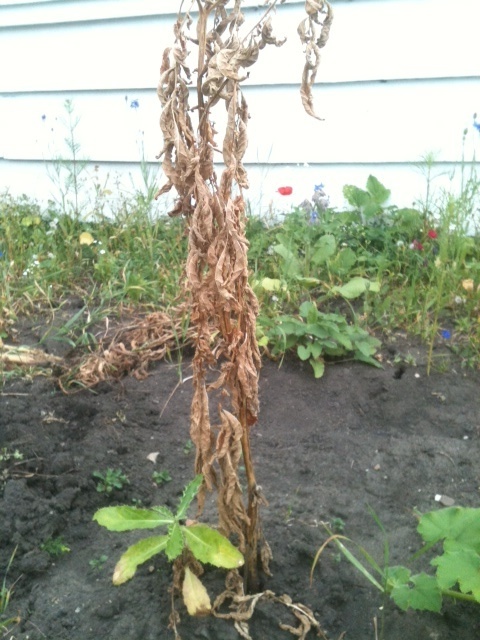 My diligent garden keeper was sorry that it had looked like our potato plants had died before we got home from Peru. Check them out, they looked dead dead, no? So I pulled up the plants and stated digging. Look how many actually grew!! Isn’t it madness? We had no idea that one would grow, let alone 25! 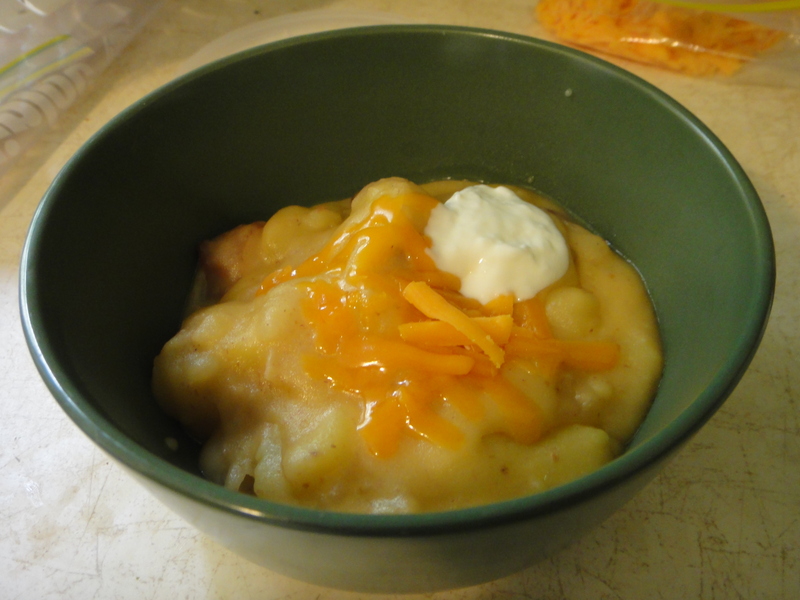 This called for a celebration of delicious and hearty baked potato soup! I decided that a soup this decadent needed nothing but the best bacon. 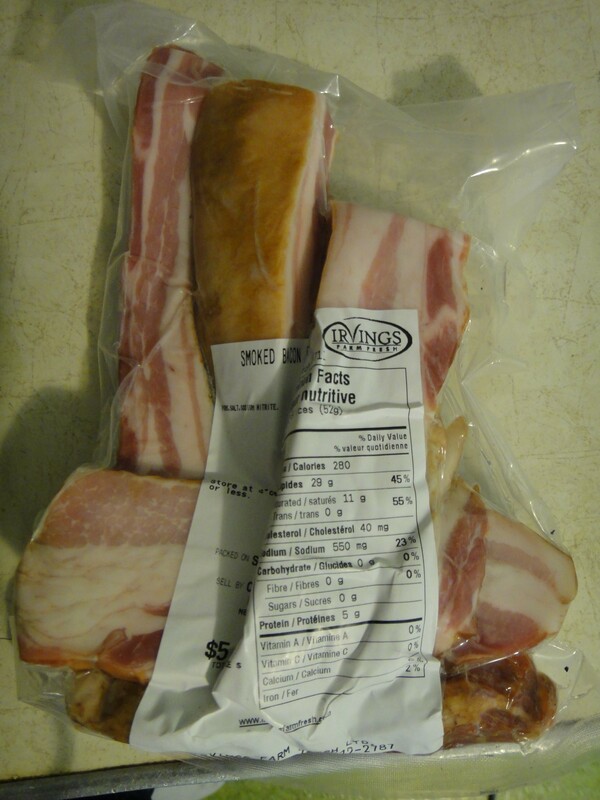 At the Old Strathcona Farmer’s market, I picked up a special treat: Smoked Irving’s farm fresh Bacon Ends. 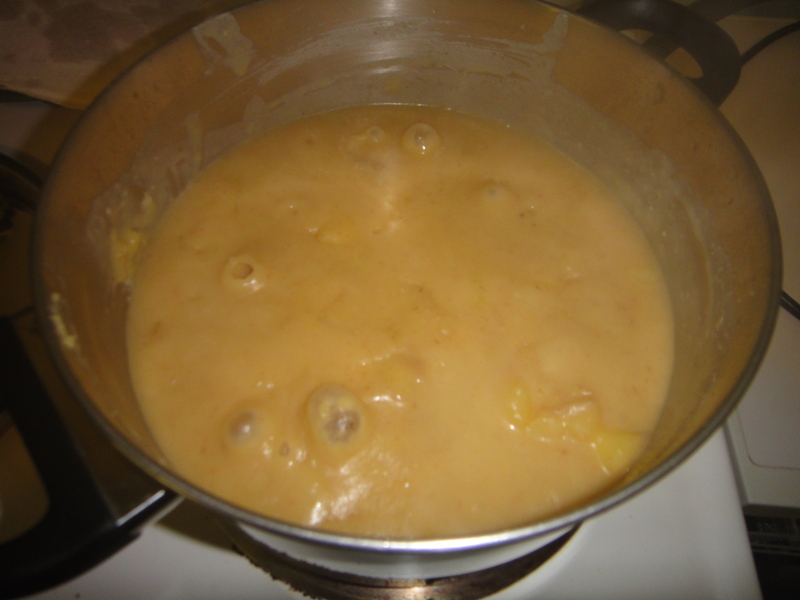 They were suggested for a soup because, although they do not necessarily present well, being ends and all, they sure packed a powerful tasty punch, and worked wonders on this soup! I sliced up the ends into nice chucks and cooked them at the bottom of a large stock pot. 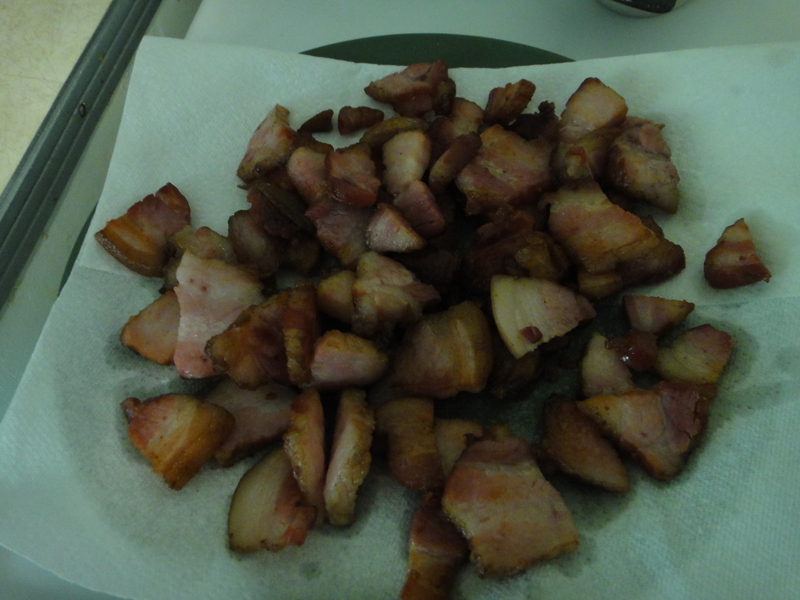 I removed the bacon bits and let them drain a bit. Reserving some of the bacon grease, I browned some onions. While the onions were sizzling, I washed and chopped up the potatoes. Tasty looking taters! I threw them on top of the onions and added the chicken stock and boiled them up for about 10 minutes. Following the instructions, I made a milk roux mixture. I added the roux to the potato and chicken stock mixture and let it bubble for a while. Don’t forget to add the cheese! Best Part! Serve with shredded cheddar cheese and sour cream. It makes for a delicious fall harvest meal! Enjoy! 1. 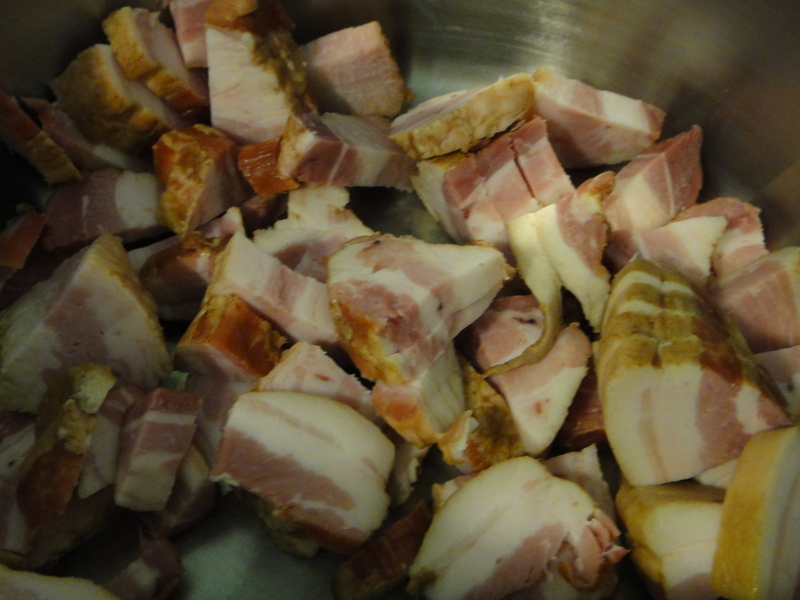 In a large stock pot, cook bacon until crisp. Remove with a slotted spoon to drain and set aside. Drain all but 2 T. of bacon grease from the pot. Cook the onions in the remaining bacon grease for about 5 minutes, until tender. 2. Add potatoes and chicken stock to pot. 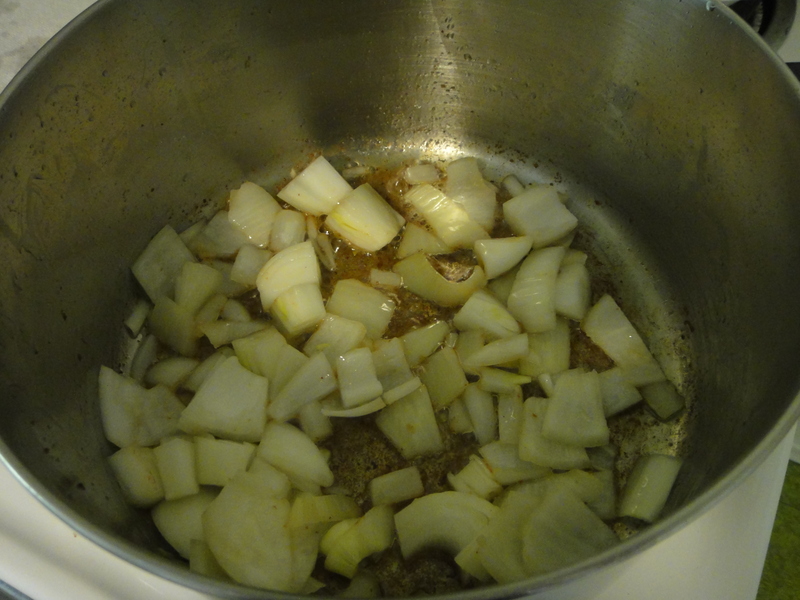 Bring to a boil, reduce heat to medium and simmer about 20 minutes, until potatoes are tender. 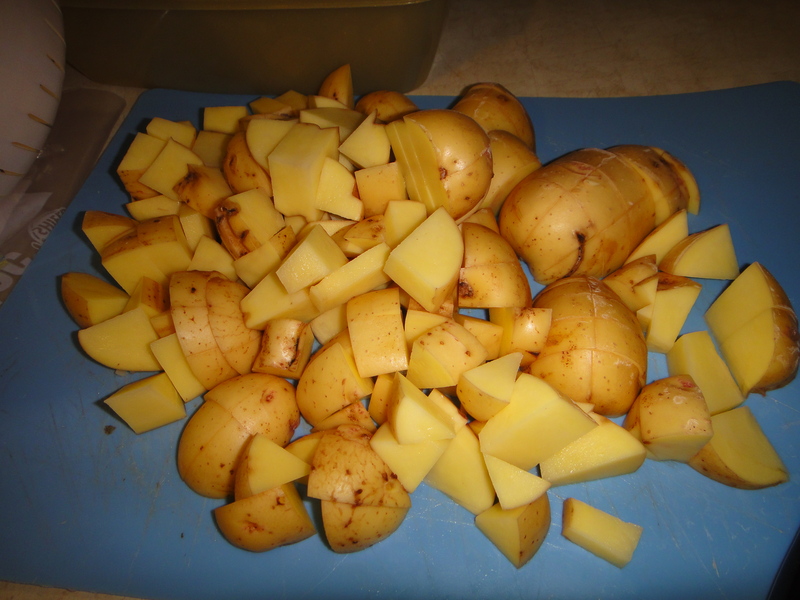 With a slotted spoon, remove a few scoops of potatoes. Place in a bowl and mash with a fork. Set aside. 3. In a small sauce pan, melt butter. Stir in flour and cook for 2 minutes. 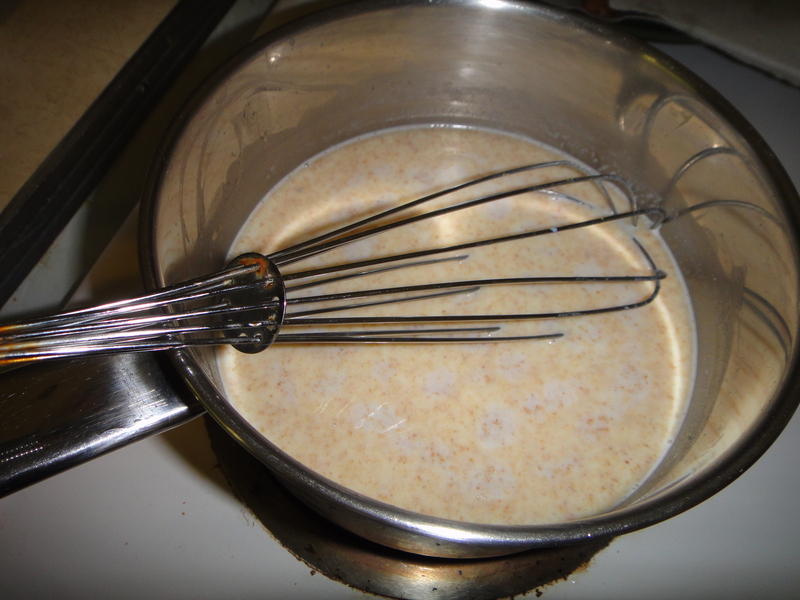 Whisk in milk, bring to a boil and simmer until thickened. Slowly stir in to stock pot. Bring to a boil, reduce heat to low and simmer. Stir mashed potatoes back into pot. 4. Add 1/2 c. shredded cheese, three-fourths of the bacon and half the sliced green onions to pot. Add pepper. Stir to combine. Cook an additional 5 minutes. 5. To serve, ladle soup into individual bowls and top with some shredded cheese, bacon, green onions and optional sour cream.